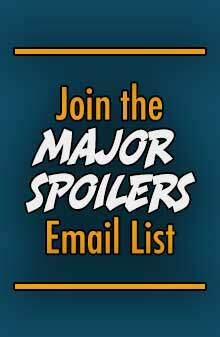 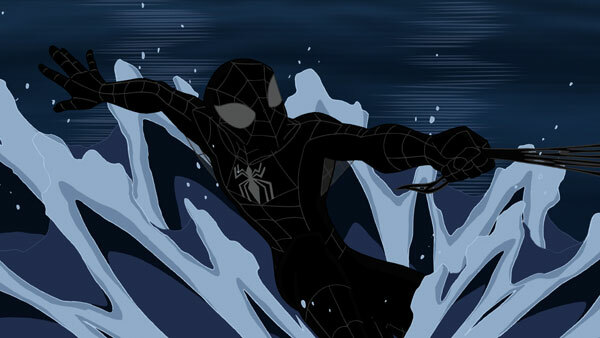 The introduction of the symbiote suit two episodes ago have really changed how Peter Parker does his work as Spider-Man, but as we already know, strange things are afoot at the Circle K.
Take the jump for the slight modifications the suit has undergone since its debut, and learn what’s on the way (plus a tasty image or two too). 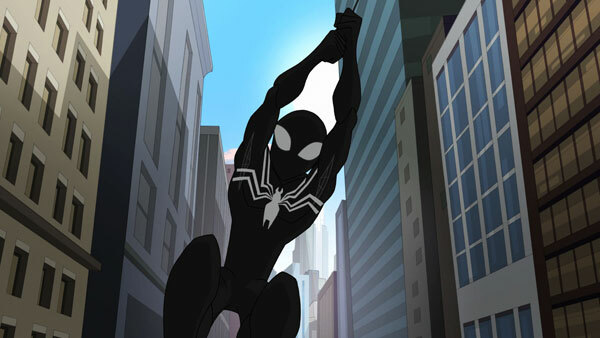 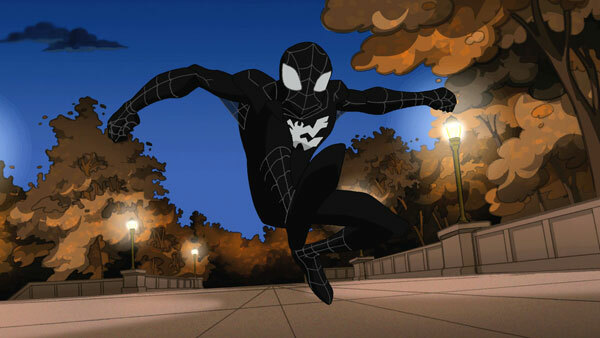 The black suit, the result of an alien symbiote attaching itself to Peter Parker/Spider-Man, first appeared in the episode entitled “Persona.” For that episode, the suit fairly replicated Spider-Man’s red/blue suit into a black version with its classic web pattern, along with a spider emblem on his back in black with a white outline. 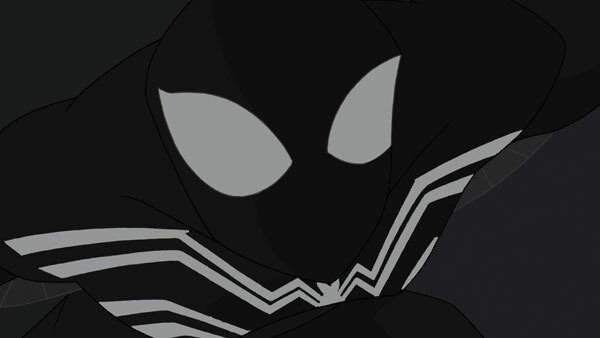 In the next episode, “Group Therapy,” the chest emblem increased in size and changed slightly in shape â€“ much like the comics black spider shape. 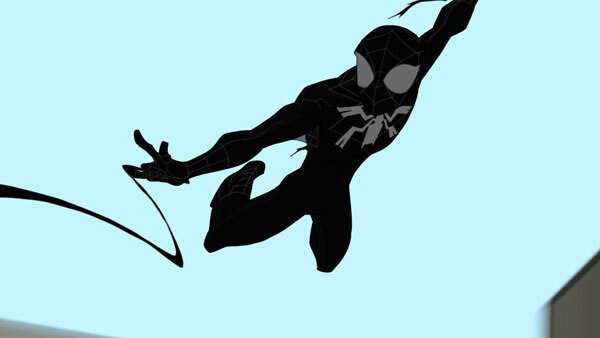 In addition, the emblem on his back had a slight change in shape and was now all-white, and the classic Spider-Man suit web pattern began coming apart with the webs starting to unravel. 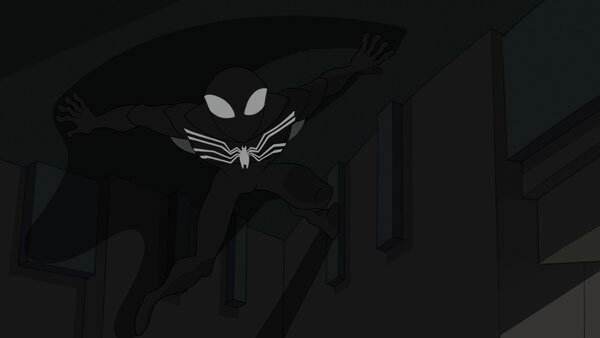 In “Intervention,” the black suit has fully evolved into the comics version of the black Spider-Man costume. 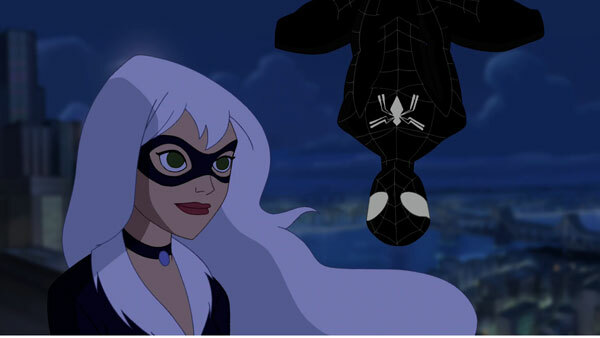 Producer/Supervising Director Victor Cook explained the reason for the evolution of the black suit from episode to episode. 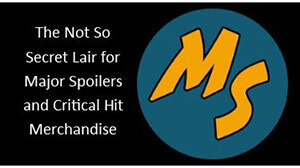 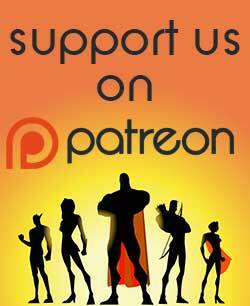 Wow- someone adapting a comic book classic is actually making sense!